The Carpathian towns accumulate what we sometimes forget – idyll, lack of rush, the ability to rest. The Carpathia brand takes care of these values and aims at recovering the awareness of our roots and values, which are put aside in everyday life. Let’s take a look into one of these magical towns – Stary Sącz, which is an inspiration for artists, writers and painters, who often return here, to feel the unique spirit of this place. Speaking of Stary Sącz we cannot expressly determine which of the streets is the most charming and which place deserves our especial attention – the market square with a beautiful “House under the Bell” or the Poor Clares’ church. Strolling through the streets of this town we can be delighted by its vibe. There are many nooks, which we can explore, to feel the history and the mysteries of Stary Sącz even better. Going further to the south, merely two hours drive from Stary Sącz we can find another wonderfully charming place – Slovak Levoca, where similarly to its Polish counterpart remained many of the precious relics, mainly the wooden architecture. Levoca, located by the former major trade route, once the capital of Spis, to this day reminds the important events, which it has witnessed. Discovering the history hidden in the old walls is a wonderful adventure: St. Jacob’s church from the 16th century, which is one of the most significant buildings in the market square invites us to visit. Perhaps, during the walk we will stumble upon the White Lady, who is said to particularly like these walls… You better watch out! 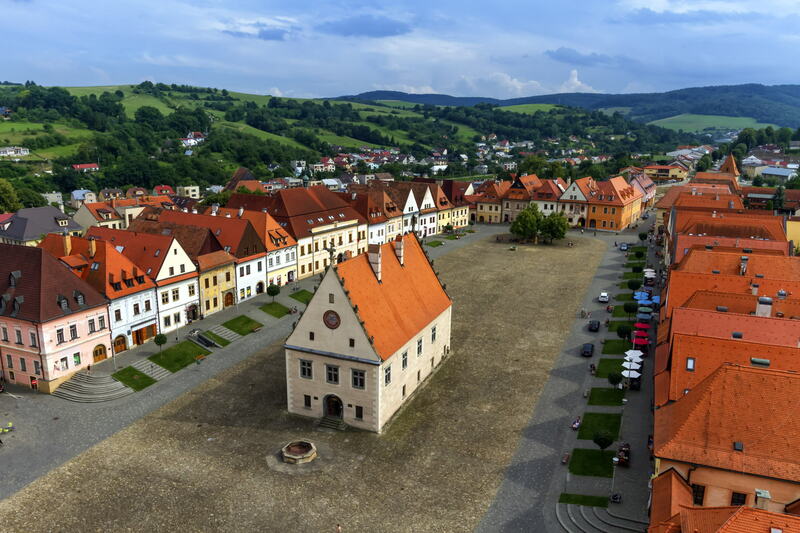 The tourists looking for more historical experiences can go a bit further to the east, to after almost hundred kilometers get to Bardejov – one of the oldest towns in Slovakia, a UNESCO World Heritage site. Historic town hall from the 16th century is situated in the center of the market square, which is surrounded by the array of characteristic bourgeois townhouses. The greatest attention we should give to the Basilica of St. Giles, in its interiors, filled with the scent of incense and faith, we can find the sculptured winged altars, which are considered to be one of the most valuable in Europe. When visiting this area it is definitely worth to spend at least one whole day in every town – the rush is inadvisable! To fully enjoy their charm we need ease of mind and the ability to break off the everyday routine. Here we can truly relax, traveling to the times when the main trade routes were filled with the carts of medieval merchants… It is not important if we choose winter, spring, summer or autumn to visit Stary Sącz, Levoca or Bardejov – on every season we can find here the same, invariable mysterious atmosphere.